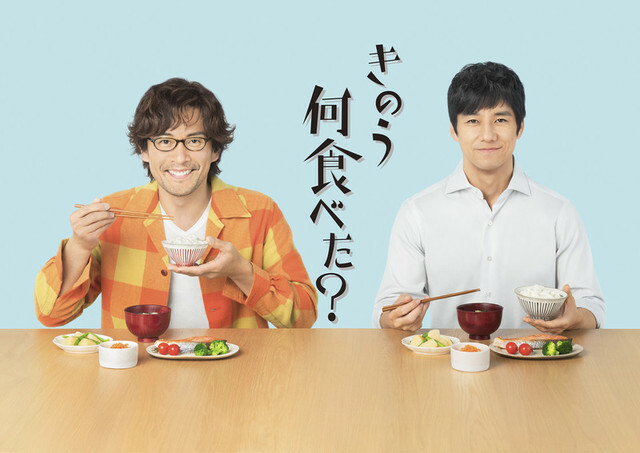 Hidetoshi Nishijima & Seiyo Uchino are cast in live-action TV Tokyo drama series “What Did You Eat Yesterday?” The drama series is based on manga series “Kinou Nani Tabeta?” by Fumi Yoshinaga (“Antique“/”Ooku: The Inner Chamber“). In the drama series Hidetoshi Nishijima will play attorney Shiro Kakei and Seiyo Uchino will play hairdresser Kenji Yabuki. The two men are a gay couple, but only Kenji Yabuki has come out about his sexuality. “What Did You Eat Yesterday?” first airs April, 2019 in Japan.